When looking at a one-of-a-kind gown created by JoEllen Elam of Firefly Path Bridal, you might just think you’re dreaming. Blending reality with fantasy, JoEllen has mastered the art of fantasy gowns for brides-to-be and cosplayers across the world. 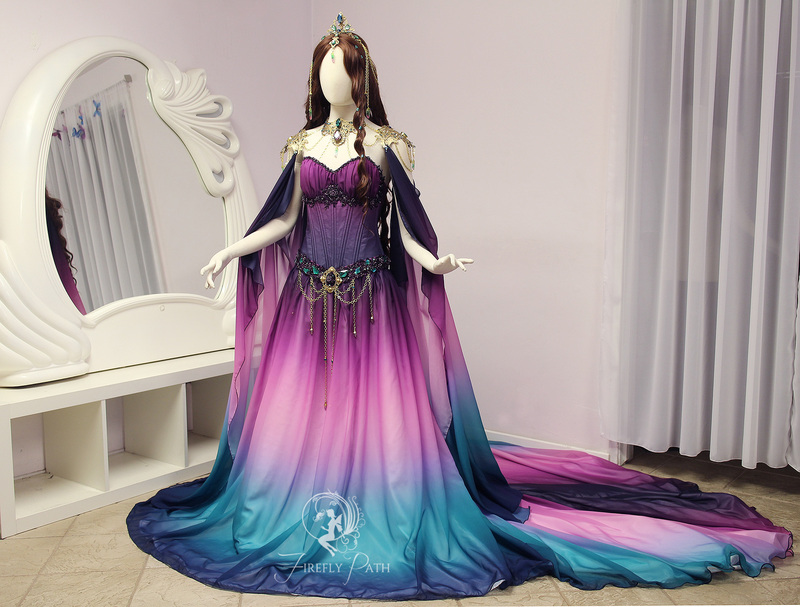 Today JoEllen is visiting the blog to give us a behind-the-scenes look at the dress every cosplayer needs to see: a stunning Twilight Lily Chiffon dress featuring an ombré design from her Spoonflower shop. Keep reading to find out how this dreamy dress became a reality.